new kitchen – Design Your Lifestyle. 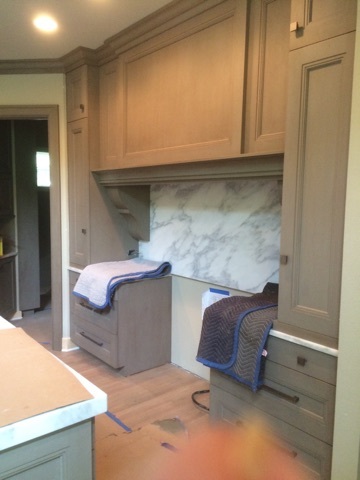 Several weeks ago, the official Peter Salerno Inc. blog treated you to exclusive “before” photos from a current kitchen design project in Tampa, Florida. Now, we’re here with the first sneak peek at the results! 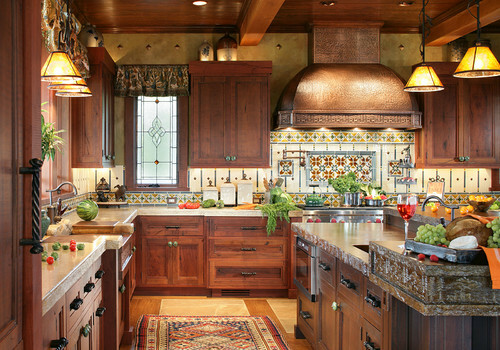 Peter Salerno Inc. is the most award-winning North American custom kitchen and bath design firm over the last 15 years. A recent class reunion at The Citadel brought Peter Salerno back in contact with fellow classmate Seth Mills. Seth and his wife Kay live in Tampa, Florida, and contracted Peter Salerno Inc. to create a new, beautiful kitchen design for their home. As expected, the finished kitchen should be nothing short of wonderful. Understated and elegant with transitional kitchen design elements and personal touches from Seth and Kay Mills’ sense of style, it is a kitchen design that Peter Salerno and his team love. 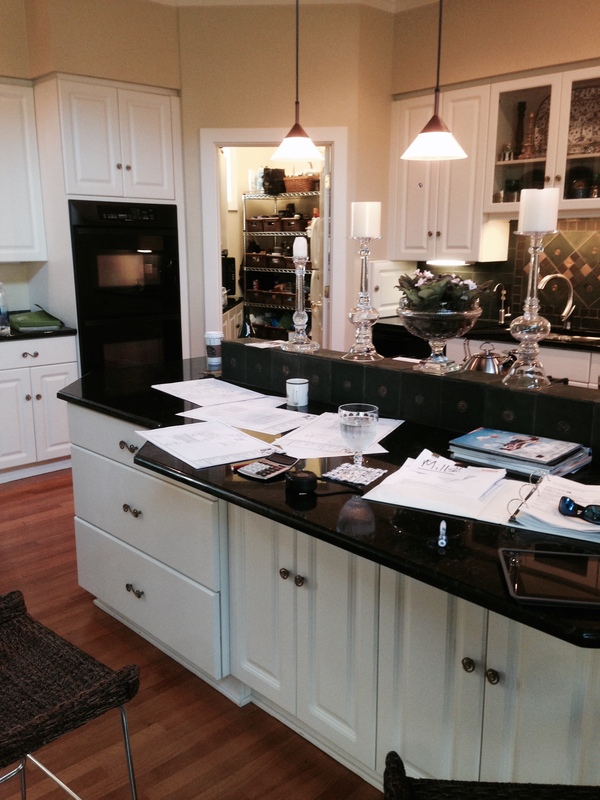 And a “lived-in” look at the brand new kitchen design project from Peter Salerno Inc.! 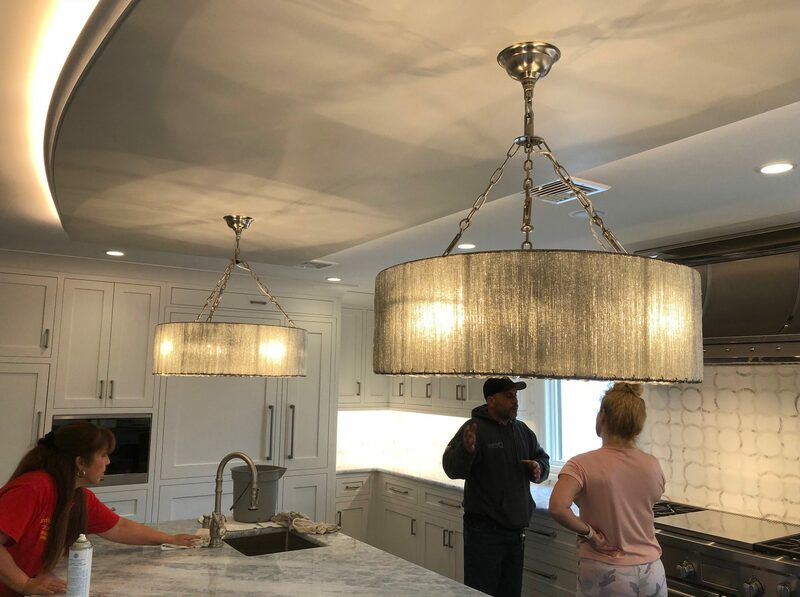 Peter Salerno, his professional team and personal family all wish Seth and Kay Mills the very best in their lives, and the greatest of happiness with their new kitchen design. Peter would also like to extend a personal wish of “cent anni” to the Mills – a hundred years of happiness! 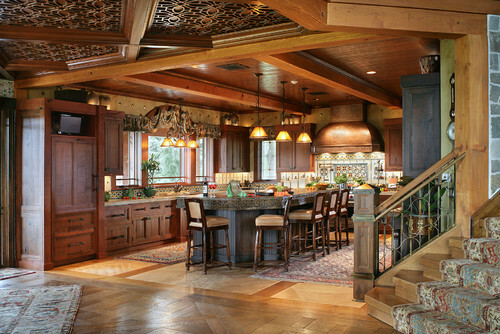 Peter Salerno Inc.’s profile on Houzz keeps getting more and more attention – and why not? With beautiful photography of award-winning custom kitchen, bath and interior design, there’s something for everyone to love. It’s a great place for homeowners to get renovation ideas and design concepts, and business owners to consider new office design ideas. WANT YOUR OWN DREAM KITCHEN RENOVATION? FILL OUT THE CONTACT FORM BELOW! 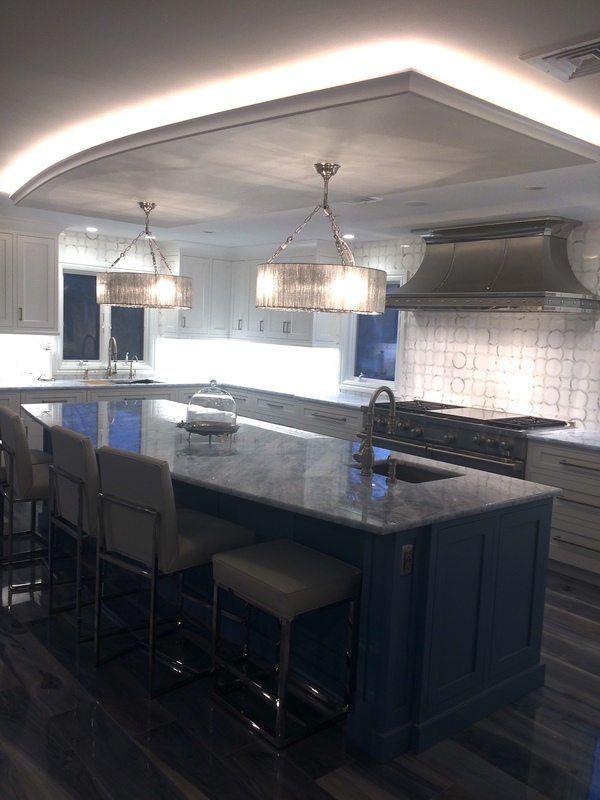 Peter Salerno and his team of award-winning interior designers are exceptionally proud of this dream kitchen renovation for our New Jersey interior design clients. 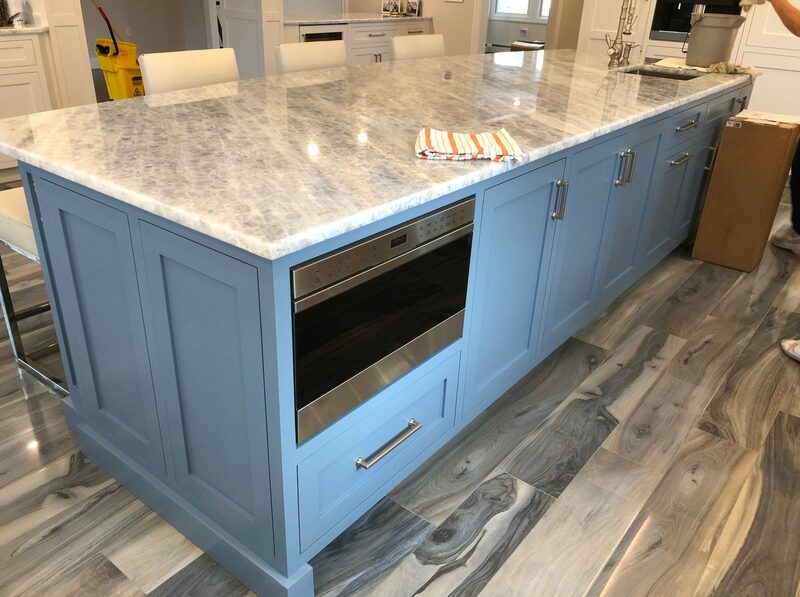 There are signature Peter Salerno Inc. design concepts everywhere, from the handcrafted island to the custom woodwork, custom cabinetry and reclaimed range hood. 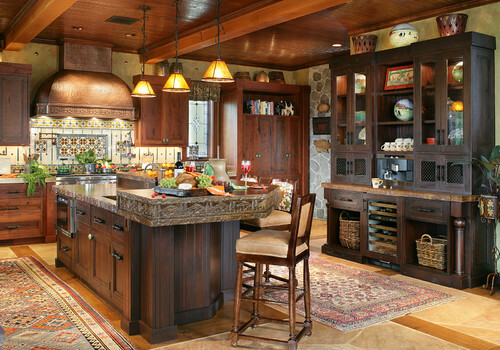 Peter Salerno also took the finer details of the custom rustic kitchen renovation into careful consideration. 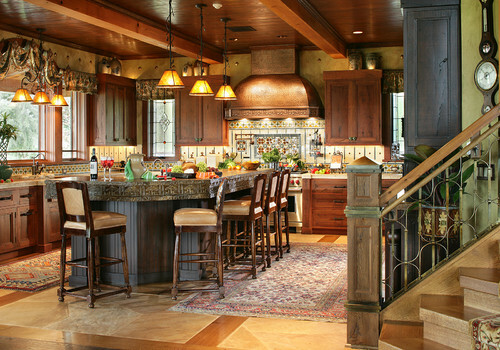 Note the carved sides of the island, the beautiful tile backsplash, the one-of-a-kind sink, and handcrafted bookcase and hutch. 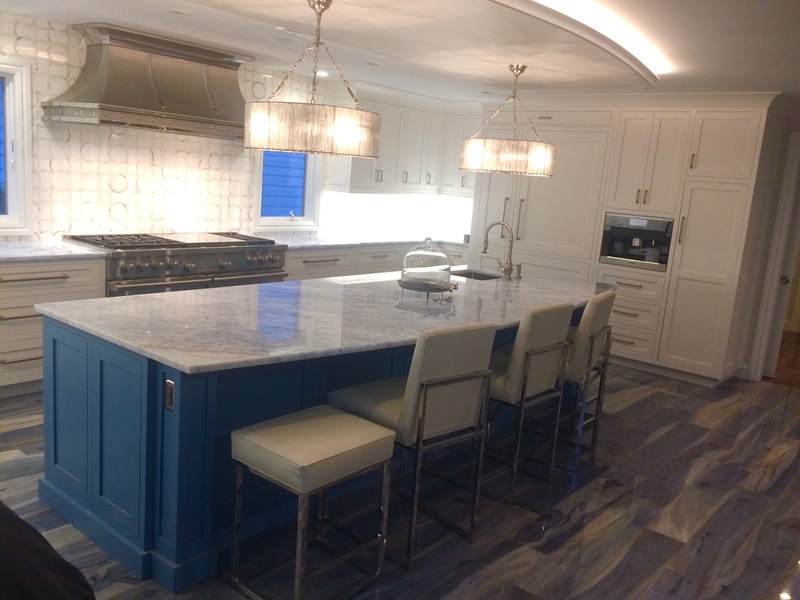 Thanks to the fine artisans at JM Lifestyles for their assistance with this beautiful custom kitchen renovation!